Explore waterways by Canoes and Kayak paddling Tours along Sydney Harbour, coastlines and beaches. Enjoy The Colo, Hawkesbury and Shoalhaven Rivers down around Kangaroo Valley or Jervis Bay and Myall Lakes. Experience terrific water based activities with a group of friends or your team building staff retreat and explore Sydney like never before! 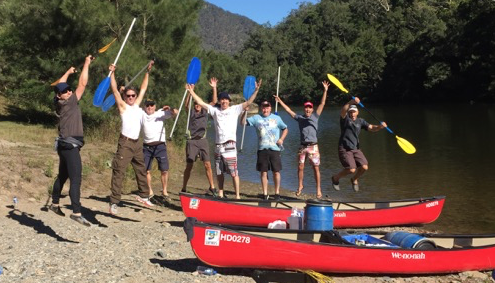 Canoeing or Kayaking is the ultimate form of fitness and fun paddling to explore rivers, creeks, beaches and coastlines around Sydney along The Shoalhaven, Hawkesbury and Nepean Rivers down to Jervis Bay or up to Nelson Bay and Myall Lakes. Rich with history, shipwrecks, architecture, rock formations, notable characters and much more is waiting for you to disc over it on the water. As you paddle canoes your way across the waters, choose from a variety of locations, from protected coves, calm tributaries, or other serene waters. The perfect activity to do with friends and fellow paddlers with professional canoe and sea-kayaking guides. BUSHSPORTS Canoe Regattas trade the office space for beautiful pristine waters inspiring teams to bond in a fun but challenging environment. Games are played, views are sort after and challenges are concurred with professional facilitation of your canoe group. Designed to foster team spirit through games and team initiatives in spectacular surrounds on water. Programs range from 2 hours to full or multi day programs for groups of 8 – 150. Sydney: Middle Harbour – The Spit, Sydney Harbour, Rose Bay, Botany Bay, Georges River, Pittwater. Western Sydney: Hawkesbury River – Windsor, Richmond, Berowra Waters, Crosslands, Brooklyn. Central Coast: Patonga, Umina, Mooney Mooney Creek, Lake Macquarie, Terrigal, The Entrance. Anywhere : where there’s enough water, we’ll paddle it!! Where there is water we will paddle it! The activities begin with a briefing on water and canoe safety, paddling techniques and teaming up paddle partners. Communication exercises will ensure that all involved are having fun, learning together. Water based Fun ‘n Games, providing unique challenges, excitement and laughter. Once the basics are mastered, teams pit their new found skills and abilities with and against each other in a number of challenges, for the ultimate honour of being named Grand Canoe Champions! Teams hit the water in their own canoes or double Sea-Kayaks and progress through Raft UP, Retrieval, Obstacle and No paddle races. Then it’s onto Boat Hopping, Le Mans Starts, Canoe Rescue as each team accumulates as many points as possible. Once new skills have been learnt, and canoe confidence increased, we will begin an exploratory paddle of the scenic waterways of the selected River System. Meals can be a picnic or Aussie BBQ on the bank of one of the many tributaries, with plenty of time for a refreshing swim. Finish the day with prizes and presentations- A brilliant team day. Just one hours drive North West of Sydney is Sydney’s cleanest flowing river and the gateway to the largest wilderness area in NSW. The magnificent ?Colo? is surrounded by Wollemi and Yengo National Parks, once the home to the Dakinjung, Wiradjuri and Dharuk Aboriginal tribes. Paddling along the Colo river is an enchanting experience. In the early morning, mist rises off the water as you paddle gently with the current. The day begins with a safety instructional session, giving you the finer points and tips on paddling and maneuvering techniques for the sturdy and stable 2 person, Canadian style canoes. Once on the water granite walled gorges are negotiated, lizards lazy in the sun, birds chirping and displaying their dazzling colours, fish darting and splashing beside your craft. Your appetite developed it is time for a sumptuous lunch, then a stopover at an ancient aboriginal site before proceeding back to the start . Calm, saltwater canoeing fun for all ages and abilities. Experience this fascinating tour on the tranquil waters of the uppermost reaches of Sydney Harbour. Following an instruction session we paddle two person canoes from under the Roseville Bridge (Davidson Park) upstream through the un spoilt forest of Garigal National Park. Middle Harbour is alive with nature, sea eagles soaring above and diverse marine life below. We stop for a break on a lovely stretch of beach with a deep swimming hole (swim is optional). Enter Bantry Bay where we inspect the derelict munitions sheds, learn their significance and appreciate the tranquil beauty of our foreshores and estuaries . Weather : Rain, hail or shine be there! If cancelled, we will contact you. 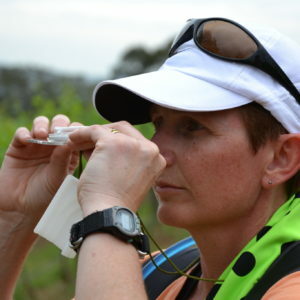 Guides : Qualified, experienced guides committed to ensuring you get the most out of the adventure. Sharing their enthusiasm and knowledge so you have a great day. Paddling in safe and stable double sea-kayaks you can explore the sheltered harbor waterways. Float past beaches, stunning cliffs, amazing waterfront mansions, beside relatively untouched beautiful native bushland. Move across calm, tranquil waters or enjoy the excitement of paddling through gently undulating waters. If the tide is high, you can even journey under the beautiful canopy of surrounding mangrove trees. Castle Rock Beach, Grotto Point and Balmoral on the southeastern side of the Spit Bridge, or our 4-hour Kayak Eco Tour which takes you under the bridge and further into Middle Harbour alongside the Garigal National Park. BUSHSPORTS programs consist of three specifically designed activities that aim to bring out the best in your team, staff and employees. Canoeing activities are designed to focus on motivation, leadership, communication and collaboration. All unique, fun, proven to bring out the best in your people! 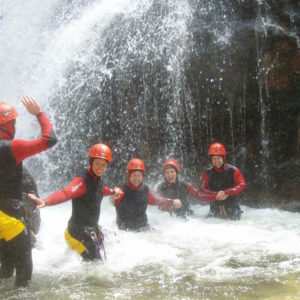 Call a BUSHSPORTS Adventure Specialist on 02 9871 3333!